In June 2016, Ricoh announced that it would deliver localization services. Since then, it has been delivering such services to medical institutes. It is now planning to deliver the services to retailers, schools, and plants. 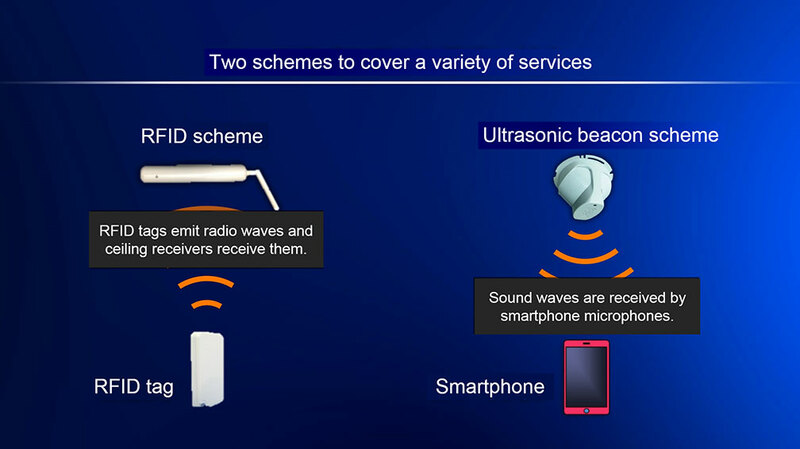 Ricoh's services are delivered based on two types of localization schemes: RFID(*1) and ultrasonic beacon(*2). For every application, Ricoh selects the scheme that better suits the customers' objectives. This page describes the ultrasonic beacon scheme. RFID stands for radio frequency identification. 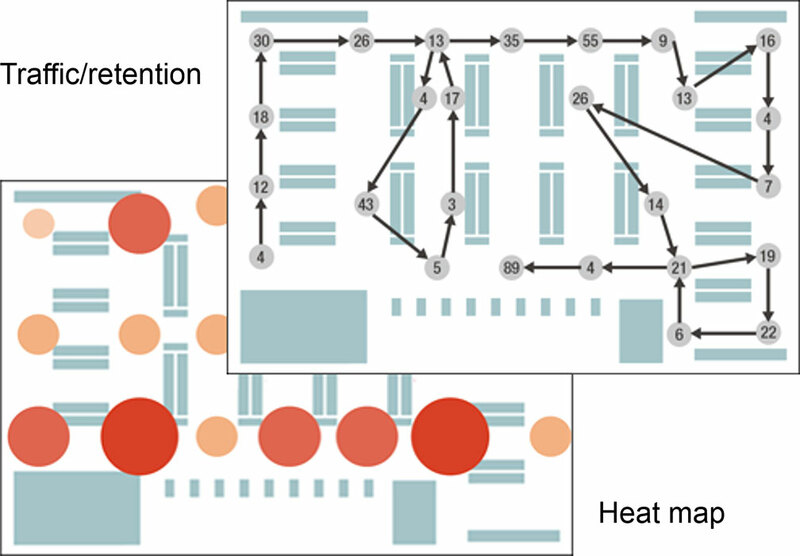 Feeble radio waves are transmitted from a wearable tag and received by receivers installed in rooms and aisles. The tag wearer is thus localized. Ultrasonic beacons are installed in rooms and aisles. The beacons distribute position information in the form of ultrasonic waves (18 to 20 kHz), which is detected by a smartphone microphone. Thus, the person carrying the smartphone is localized. Recently, many companies use technologies to identify where people are to help improve their work efficiency and service quality. The Global Positioning System (GPS) is very useful, but it cannot be used indoors as GPS signals from the satellites do not reach inside. A different technology is needed indoors. Ricoh turned its attention to the fact that most indoor facilities are partitioned into rooms and aisles, each used for a different purpose (living rooms, dining rooms, meeting rooms, storages, and so on). 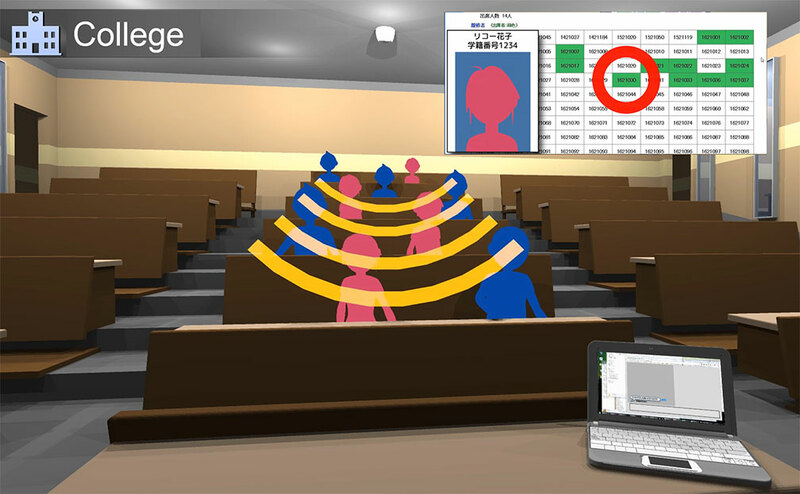 Ricoh decided to use the rooms and aisles as units of person localization and started to develop a technology to correctly identify who is in which room (or along what aisle). Different rooms serve different purposes. The objective can be attained by either the RFID scheme or the ultrasonic beacon scheme. With a receiver installed in each room, the RFID scheme can be used to detect who is in which room. Radio waves, however, pass through walls, and a person outside the room can be falsely detected. Ultrasonic waves, on the other hand, are attenuated when they pass through the walls; they are transmitted very little beyond the walls of rooms and aisles. Thus, the ultrasonic beacon scheme can correctly identify the partitioned segments. Radio waves reach the outside while the reach of ultrasonic waves beyond walls is insignificant. 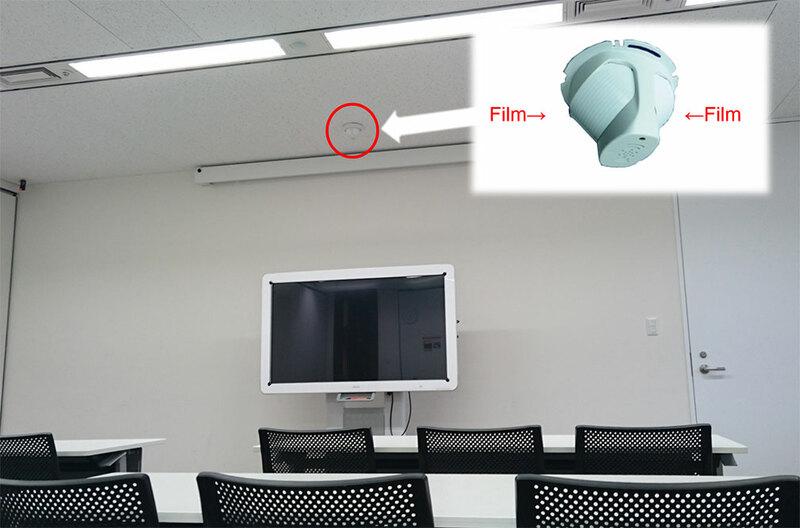 Ricoh has adopted the ultrasonic beacon scheme to correctly localize people in indoor facilities in units of rooms and aisles. This technology helps provide services that are customized to specific human behaviors. Ultrasonic beacons are distributed across the shop, one installed in each aisle. Customers are localized with their smartphones and the advertisements and coupons of nearby goods are displayed on them. Customer traffic is observed to find how crowded each aisle is, so clerks and goods can be allocated accordingly. Customer behavior is observed to improve services in the shop. Ultrasonic beacons are distributed across the school, one installed in each classroom. Students are localized with their smartphones and their attendance is recorded accordingly. Class material is distributed only to smartphones of the students present in the room; students' opinions can be gathered via their smartphones. Students in the classroom receive tailored services. 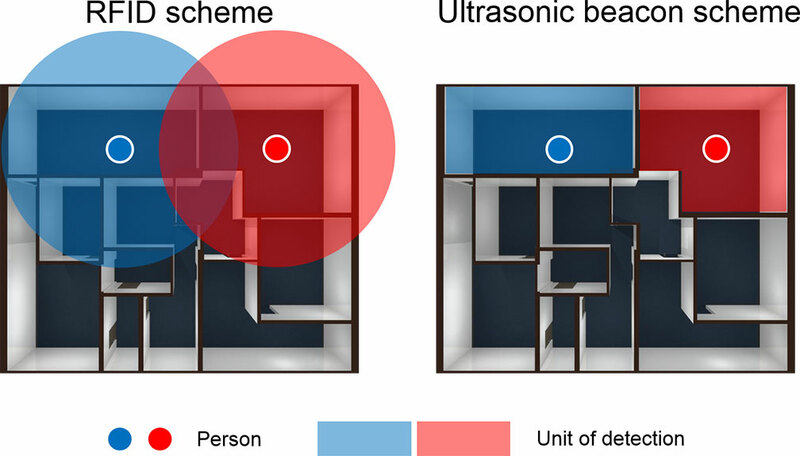 Ultrasonic beacons emit position information on ultrasonic waves (18 to 20 kHz). Sound waves at these frequencies are highly directional. With conventional speakers, emitting position information in multiple directions requires many speakers operating in the same phase. This approach would result in large equipment that is complicated to control. Ricoh has solved the problem by emitting in-phase ultrasonic waves from a curved surface. 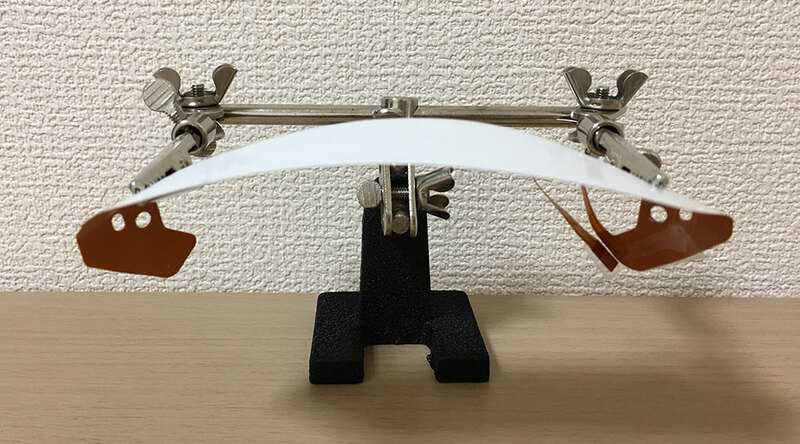 Ricoh has been studying magnetic materials for printed substrates and has used past findings to apply special magnetic patterns onto a resin film. The film thus manufactured successfully emits in-phase ultrasonic waves from its surface. With the film appended on a curved face, in-phase ultrasonic waves are emitted in many directions. Just as with conventional speakers, you can extend or shorten the reach of the ultrasonic waves by changing the volume (or, more accurately, ultrasonic emission intensity). Thus, the reach of position information emission can be elaborately controlled by adjusting the shape and volume of the ultrasonic beacon. The photo is an example ultrasonic beacon. Two films are on a hemispherical surface, and ultrasonic waves are emitted into the celestial hemisphere. With the ultrasonic beacons installed on the ceilings of rooms and aisles, low-volume ultrasonic waves reach every corner and deliver position information. Two films deliver ultrasonic waves to every corner of the room or aisle. The following three functions must be implemented in the localization app on the smartphone. The functions will be distributed as a software development kit (SDK) to spare app developers the trouble of coding their own. In developing apps that require position information, developers can use the SDK to check the current position in a variety of styles (such as room number, aisle name, beacon ID, and latitude and longitude). Developers need only address the processes after the position has been identified. The SDK will help them develop smartphone apps efficiently. Suppose you are to develop an app that provides a signage viewer with discount coupons for the products shown. You need only write a program that displays the discount coupons when the current position is near the signage. Position information collected from smartphones is saved to the server. To view the information, you can use software called a dashboard. The software has been developed for shop managers and owners. For instance, at a retail shop, position information of the customers can be shown on a floor map. The viewer can check how they move, how long they stay, and how crowded the aisles are. The dashboard is useful compare traffic before and after a new product promotion. You can see how effective the promotion was according to the number of customers who went to and stayed at the shelves of the new product. With the quantitative, visual representation of the traffic in an indoor facility, you can easily see what should be improved or what has been effective. It will allow managers to implement fact-based measures and to check their effectiveness. The current software displays position information only. In the future, it will be updated with added functionality to display other information collected by the owner and facilitate elaborate analysis for decision-making. 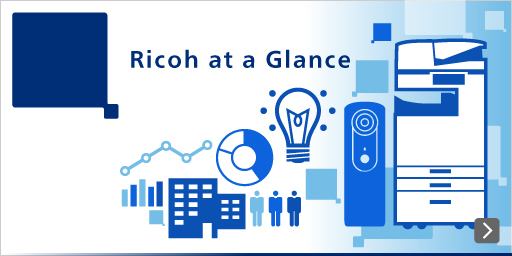 Ricoh will develop position information services tailored to customer needs, delivering value across many areas. © Ricoh Company Ltd. All Rights Reserved.